There are some pretty cool Airbnb accommodations around town and our jaws dropped when we spotted this CBD sanctuary. 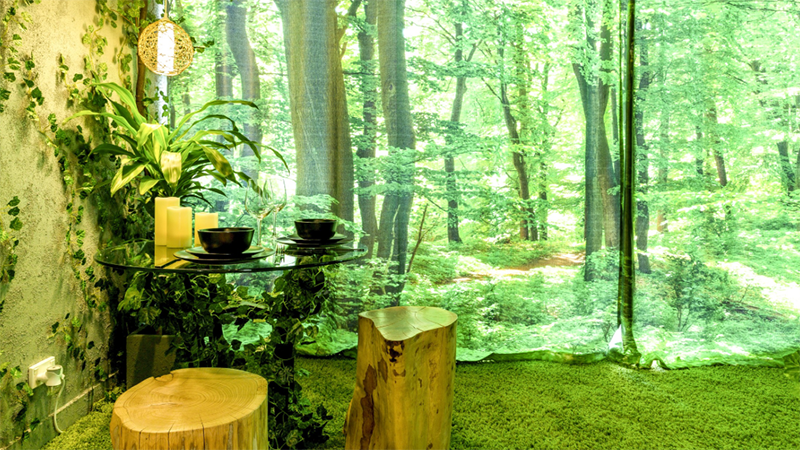 The place is your enchanted forest dreams come to life. There is a swinging chair, walls covered in plants throughout and a dining room with log seats and an amazing woodland wallpaper. It doesn’t end there. The bedroom has been fitted out to take you on a journey through the skies. Complete with twinkle lights and cloudy wallpaper. The apartment is hosted by four different people, a Sanctuary Artist, Data Magician, Fairy Godmother and Maker of Worlds. The team’s mission is to create a “greater sense of joy and wonder”. They’ve certainly achieved that! So what will the apartment set you back? It’s $209 a night, and considering the attention to detail, we reckon it’s worth it! To check it out, go here. Listen live on the Fox FM app – available on the App Store & Google Play.